Harper SmithSinger-songwriter Amos Lee performs Friday at Belly Up Aspen. 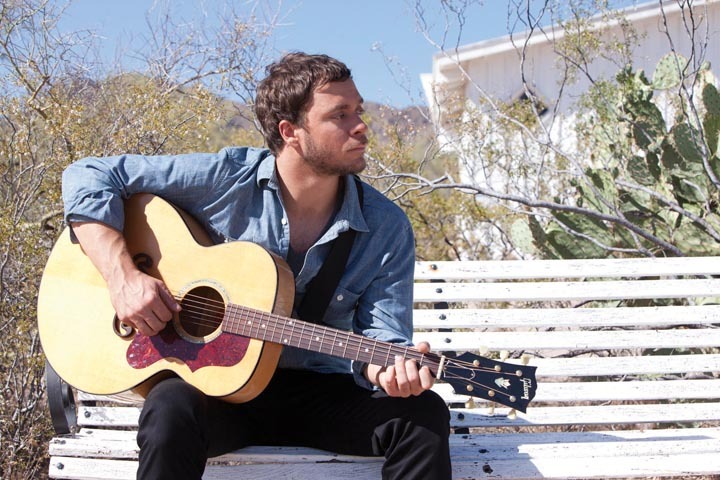 ASPEN – There was a time when Amos Lee wasn’t sure he had it in him to become a professional musician. He was playing bass in a rock band that had most modest ambitions, writing songs that he figured would never be heard outside his room – and marveling at how certain artists could bring such depth, originality and passion to their music. It has been a steady uphill for Lee since. Lee landed a spot on Rolling Stones’ Top 10 Artists to Watch list, he opened for Bob Dylan and Merle Haggard, and Lee’s voice, a warm blend of soul and folk, was heard on the soundtrack to numerous TV shows. Lee followed his first album with 2006’s “Supply and Demand” and 2008’s “Last Days at the Lodge,” both of which represented higher trips up the sales charts and earned him more attention-getting gigs, at Farm Aid and opening for the Dave Matthews Band. The risks taken on “Mission Bell” are paying off. The album debuted at No. 1 on the Billboard chart, and the single “Windows Are Rolled Down” is in the top 10 at AAA radio. On “Mission Bell,” Lee has surrounded himself with musicians that still make him tremble the way he did years ago, listening to Coltrane and Hathaway. The album features Willie Nelson on a reprised, quieter version of “El Camino,” and Lucinda Williams on “Clear Blue Eyes,” a somber song about children suffering from neglect. “Whenever you listen to Willie sing, I feel that way – same with Lucinda – that music is forever humbling in a way,” the soft-spoken Lee, who performs with his seven-piece band Friday at Belly Up Aspen, said. Regardless of whether he ever finds that balance between comfort, humility and drive, it seems clear that Lee is pushing ahead with his music, his career and his ambitions. The best evidence is “Mission Bell” itself – its sound, scope and range. “Last Days at the Lodge” was quiet and sparsely produced; Lee seemed to be holding back. No such description applies to the latest album. For one thing, Lee gave himself the luxury of time – opposed to his previous two albums, which he said were squeezed into a packed touring schedule. He spent a year and a half writing the songs and then reflecting on them. Even more obvious is the approach to production. A few years ago in Austria, Lee met Joey Burns and John Convertino of the Arizona band Calexico. When the idea was floated to collaborate with the pair, who are known for a slight Southwestern flair to their sound, Lee headed to Tucson. What came out was not a wholesale altering of Lee’s style, but a sense of moving forward and opening things up. Lee’s inviting, soothing voice and gently picked guitar remain front and center. But on “El Camino,” the spare style gives way, momentarily, to a bigger landscape of Sonoran horns. That is a hint of things to come: “Windows Are Rolled Down” – the first single, already making some noise on radio – starts with aggressive strumming, the beat builds from there, and Lee uncharacteristically but effectively, turns up the vocal heat. “Jesus” breaks from folk sounds to get into minor-key blues-gospel, and “Cup of Sorrow” gallops along on a country beat. Before the “El Camino” reprise, Lee lands with “Behind Me Now,” a slow, reflective and moving ballad of loss that finds a previously unknown grit in Lee’s voice. As to his relationship with the musical giants who once seemed to dwarf him, Lee says there are still moments where it can be daunting. But those immense figure also move him to reach higher.